"Inuk chuk!" Don't worry, this pin wont grow 50-feet but does stand out! Styled in his likeness from the popular animated Super Friends show this pin features the large and imposing Apache Chief with his arms crossed. 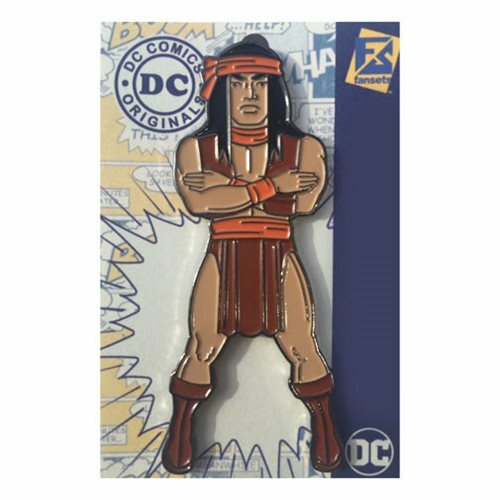 Perfect for adding to a collection or for wearing around, this DC Comics Apache Chief Pin measures about 2 3/4-inches tall.